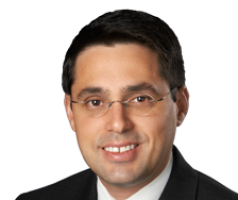 Dr. Delgado came to Counsulting Radiologists, Ltd. (CRL) as a neurointerventionalist, joining our Neurointerventional Radiology section at Abbott Northwestern Hospital. He completed a two-year fellowship in Diagnostic and Interventional Neuroradiology at the world-renowned Mallinckrodt Institute of Radiology at Washington University School of Medicine in St. Louis, Missouri. He received his undergraduate degree from Wesleyan University in Connecticut and his medical degree from Mount Sinai School of Medicine, New York. He completed an internship at Cabrini Medical Center of Mount Sinai School of Medicine and residency at the Massachusetts General Hospital in Boston. He also completed a fellowship in Endovascular Surgical Neuroradiology. As a fellowship-trained Endovascular Surgical Neuroradiologist, Dr. Delgado is highly skilled in the endovascular treatment of cerebral aneurysms, arteriovenous malformations and fistulas, strokes, and other neurovascular conditions of the brain and spine utilizing the latest technologies and advanced techniques. Dr. Delgado brings a special level of surgical expertise to his practice. His approach to medicine is patient centered. He involves his patients and their loved ones as part of his medical team. Dr. Delgado makes time to explain and teach them about the patient’s condition and treatment options.